New ways of measuring workplaces and the ways they help employees do their best work are informing organizations and designers around the world. It won’t be long before top talent uses such data to help in their career decisions. Every day the guesswork associated with changing employers grows smaller. With websites like Glassdoor and The Vault offering people intelligent insight into how companies pay, manage and advance their people, top talent is more informed than ever before. They aren’t coming to interviews unprepared. Instead, they’re coming with perceptions they’ve developed through extensive online research confirmed or refuted. Or, if they don’t like what they read online in the first place, they’re not coming to interviews at all. As transparency in recruitment and retention accelerates in the years ahead, it may not be long before top talent is also focused on workplace metrics and data. 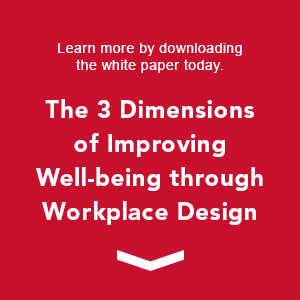 Leading companies and design organizations are finding successful tools and methods to help them verify if their workplaces are helping employees be productive, live healthy, communicate efficiently, enjoy privacy and use flexible workplace environments. This data is helping organizations design and create better workplaces and it soon may be data employees seek, debate and post online as they make career choices. Consider Zurich North America and their workplace pilot efforts in advance of their new headquarters set to open outside Chicago in 2016. The company built a workplace testing environment where 150 employees spent three weeks in each of four uniquely configured office neighborhoods. The employees split time between individual workstations and shared spaces to experience different furniture, rooms and meeting spaces that could potentially be incorporated into the future headquarters. Before, during and after the pilot program, Zurich collected data from strategically designed surveys, town hall meetings and one-on-one discussions. Employees were 64% more satisfied with flexibility to use different spaces over the course of a work day in the workplace test environment. Enclaves (shared small private rooms) were people’s favorite aspect of the pilot, chosen by 65% of participants, while the social hub and access to natural light were the second and third favorite aspects. More than 60% of employees involved in the pilot effort felt communication with their group improved in the test work environment. This data will help Zurich create a new headquarters that works for their employees and business, but it’s also remarkably powerful for recruitment and retention. Few organizations have invested extensively in understanding their workplaces on this level. Fewer still have then leveraged such data to make design changes to improve the work experience. By holding up their pilot efforts and resulting data, Zurich can stand out as a potential employer that provides a positive work environment. As more and more leading organizations begin to evolve their workplace environments with data-based design and promote the results, employees will continue to take notice. In the years ahead, top talent will expect employers to have such data on hand. They’ll want to know how the company has improved communications in the office in the past five years. They’ll ask about what percentage of employees have access to natural light from their desks. They’ll want to know about how privacy, collaboration and choice is accommodated for them to be able to successfully to function in their roles. They’ll seek it out, share it online, debate it and send LinkedIn messages to former employees to see if it’s true. Organizations that can provide such data and talk about how they’ve used it to improve the work environment will stand out in the war for talent. Organizations should see data-based design as an opportunity. There’s no going back to a world where employees can’t learn a great deal about salaries, culture and management practices online. However, companies that invest in data-based design can soon start evolving the conversation to talk about how their workplaces make them different, and they have the numbers to prove it.